Cannas are tropical and subtropical flowering plants with large, banana like leaves. They can be grown as annuals in cooler regions, where they add an instant touch of the tropics to gardens. A surge in interest and hybridizing has resulted in a dazzling array of cannas to choose from, many with large, showy flowers and variegated leaves that look like stained glass, when the sun shines through them. 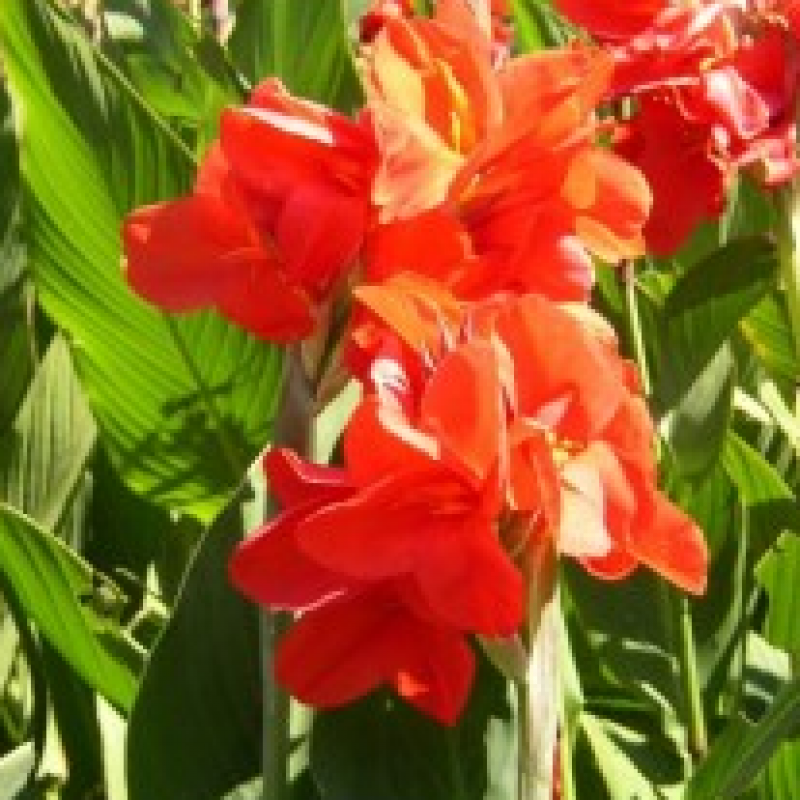 Cannas are often grown for their foliage alone. The large, paddle-like leaves come in greens, blue-greens, variegations and stripes. Much hybridizing has been done to create more attractive flowers. Somewhat tubular and lily like, Canna flowers come in shades and combinations of yellow, orange, red and pink and are borne on tall stalks coming out of the foliage.